Zaiss et al. infect mice with Heligmosomoides polygyrus bakeri , which is a murine helminth parasite with phenotypes similar to those of humans. Within a few days they observe increased levels of IL-1beta in the peritoneum as well as the small intestine tissue. IL1-beta is a strong and tightly regulated pro-inflammatory cytokine. They authors suggest this cytokine to be produced by macrophages and DCs in the in the intestine. When infecting IL1-beta-/- mice the worm burden and amount of eggs shed in the feces drops drastically. When purifying spleen and mesenteric lymph node T cells from H. polygyrus infected IL1beta-/- mice, they see a larger population of IL-4 and IL-13 producing cells compared to wildtype mice, suggesting a stronger Th2 immune response. Following this up, they also observe an increase in IL-25 and IL-33, other Th2 cytokines. The authors show that the intestinal epithelial cells express the receptor for IL-1beta and could be producing these cytokines. Surprisingly, looking at IL-25 and IL-33 knock-out mice shows that only IL-25 reduces worm burden and not IL-33. Finally, the authors show that IL-1beta can attenuates the type 2 innate lymphoid cells (ILC2) which also contribute to the Th2 response to the infection. Together the authors suggest that induction of IL-1beta by the helminth dampens the Th2 response and results in helminth chronicity. As I mentioned above, IL1-beta secretion is very tightly regulated. 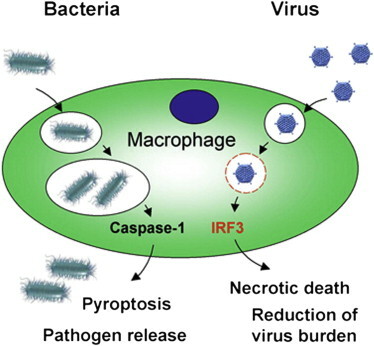 A Pathogen-Associated-Molecular Pattern (PAMP) is required for its expression and a secondary signal through the inflammasome is required for its maturation and release. It appears that H. polygyrus provides both of the signals. 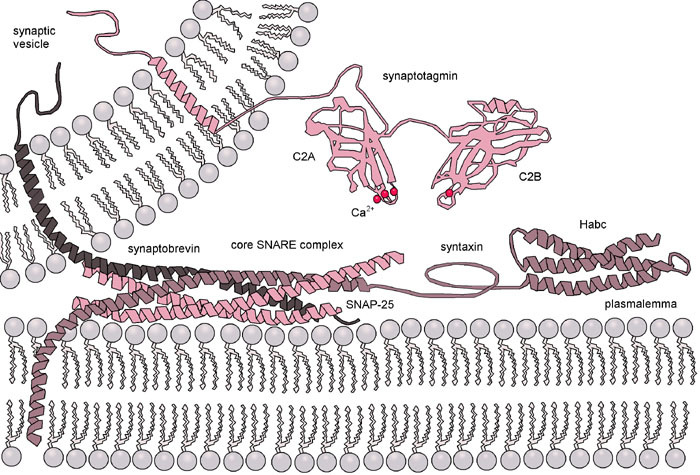 Observing inflammasome activation by helminths is rather new. Doing a quick Pubmed search for ‘inflammasome AND helminth’ I only found two papers, but I guess the list would grow. Pinning down the mechanisms by which the worms manage to activate this pathway would be very interesting, and also we would need to see if similar to H. polygyrus other worms also abuse this pathway in their benefit.